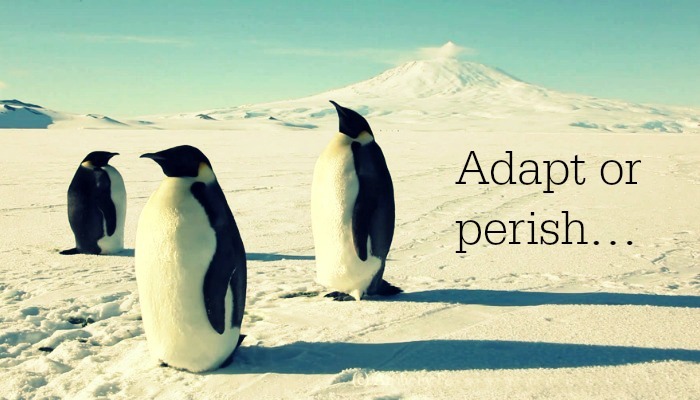 Like the mighty emperor penguins, businesses need to adapt to the prevailing environment to ensure their survival. This is especially the case in retaining Millennial staff who by 2020 will represent more than half the global workforce. To survive, organisations require not the hands of workers but their hearts and minds as well. The Millennial generation is now the largest cohort in the workplace1. They are tech savvy, ambitious and restless so what’s the secret to retaining them? Like previous generations the Millennials (also known as Gen Y) want to feel valued at work, they enjoy time with family and friends, and engage in a variety of hobbies and sports. But unlike other generations, the Millenials have specific qualities that are part of their DNA. Formative experiences have shaped this cohort into a very different workforce and employers must respond to this change or risk losing talented staff again and again. But how? The Millennial generation came of age during the global financial crisis and experienced first hand the impact of redundancies and retrenchments on their families They watched on as cost-cutting took precedence over loyalty. So it’s no surprise that they now place personal needs above the corporate best interest. They need meaning and purpose at work and require line-of-sight to the business goals. The want to explicitly understand how they contribute to the greater team effort, so show them. These digital natives are always ‘on’. They are technologically connected in ways previous generations never were, and they want, and expect, to listen and be heard. Whenever, wherever. Anonymous, micro-feedback platforms provide immediate real time opportunities for staff to innovate, provide feedback, contribute or complain. They are also a lot easier to implement and far less expensive and cumbersome than staff engagement surveys. The Millenials have grown up watching entrepreneurs hit lofty heights and amass immense wealth and status all before they turn 30. The barriers to entrepreneurial success have never been lower and the ‘why not?’ attitude has never been stronger. Acknowledge this and shower your Millenials with professional development opportunities, particularly in-house mentoring. This cohort is incredibly diverse and enjoys teamwork so create temporary project teams to innovate and solve difficult problems. Many tech companies have a day set aside each month for digital solutions forums where staff are encouraged to be creative and think audaciously to create the next big thing. Millenials have grown up with broadband, smartphones , laptops and social media as the norm. They want instant access to ideas and information but also instant feedback on their own performance. For older generations it may seem like they have a constant need for attention and reassurance but its more complex than that. They have grown up giving opinions and offering thoughts and they appreciate receiving the same in return. They are also quite happy to receive the feedback electronically; 41% said they prefer electronic communication to face-to-face2. For the first time in history we will have younger generations managing older generations. This is fertile ground for intergenerational conflict. To avoid potential issues every person moving into a management role should be given leadership development training. More than ever, leaders will need to be able to resolve interpersonal conflict and negotiate outcomes. Equip your Millenials for success by giving them the fundamental leadership tools of resilience, self-awareness and decision making. It’s not an add-on, it’s the foundation and if you want them to stick around they need to feel confident and competent in their own ability to handle difficult situations. An interesting thing about the Emperor penguins in Antarctica is their ability to adapt their behaviour. Throughout most of the year it’s every bird for themselves, as they aggressively compete for resources. But once Winter arrives, they realise their very survival relies on their collaboration. They sit in a huddle with every bird taking a turn to be on the outside of the group, bracing against the cold winds. They then rotate into the middle and the birds in the middle move to the outside. This extraordinary behaviour has evolved as they adapt to their environment. Likewise, the instant access to knowledge and information has taught Millenials that no one is indispensable, no one is the font of all knowledge and there is much more power in collaboration. In fact, they prefer it - 75% of Millenials said they prefer working collaboratively. They are more technologically connected than anyone before them and they even prefer a physical workspace where they can see and be seen. Provide opportunities for varied project work, including corporate-wide initiatives and watch your Millenials shine. Rachael is an Antarctic expedition leader, bestselling author and Australia’s pre-eminent authority on extreme leadership. Rachael was the opening speaker at the recent HR Summit in Singapore, one of the largest conferences for HR professionals in Asia with over 2,000 attendees. If you would like to know more about Rachael’s keynote presentations contact the team at Great Expectation, call 1300 55 64 69.